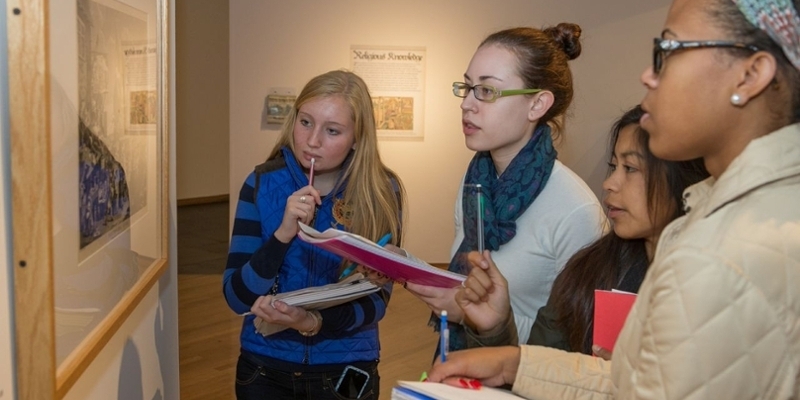 The Miami University Art Museum, accredited since 1984, supports the philosophy that a “liberal education provides the best possible framework for life in a changing world”. 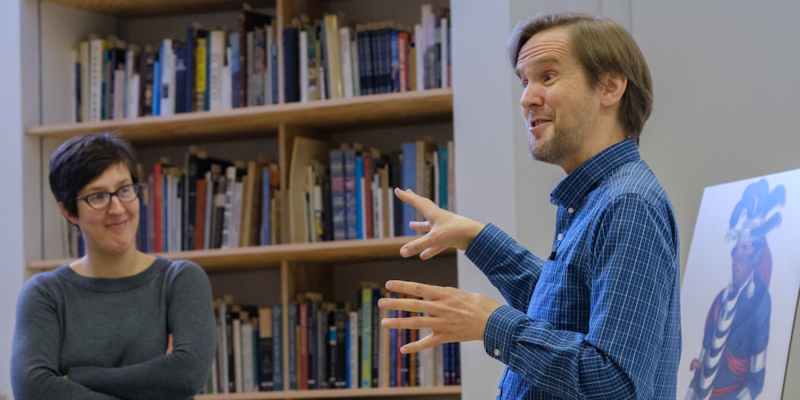 The museum staff, specifically, the Curator of Education, Curator of Exhibitions, the Registrar/Manager of Collections , as well as the Administration, work with faculty across disciplines to create and develop museum-based experiences to give students the tools to critique and investigate visual culture. 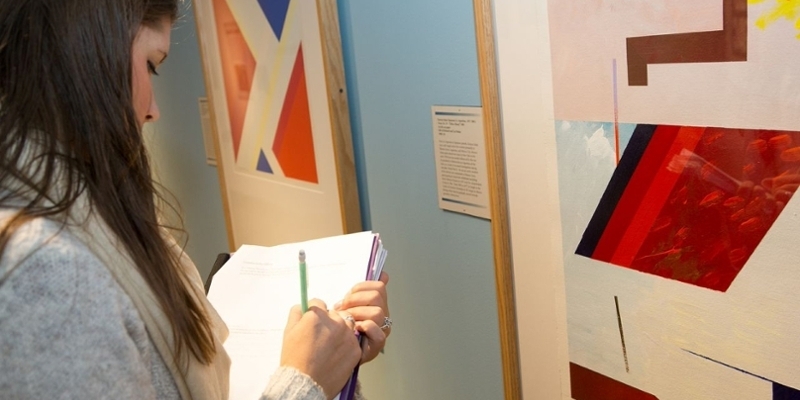 The Miami University Art Museum staff will work with faculty to develop gallery-based experiences to reinforce classroom curricula. 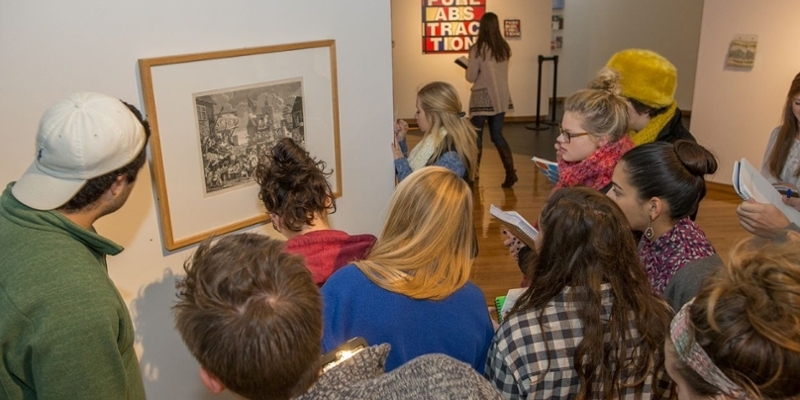 For group tours or visits, please contact Cynthia Collins, Curator of Education at 513.529.2243 or collinc5@miamioh.edu. Advanced notice of two weeks is appreciated. The Miami University Art Museum collections of over 17, 000 objects represents a wide range of time periods and subject matter and techniques. 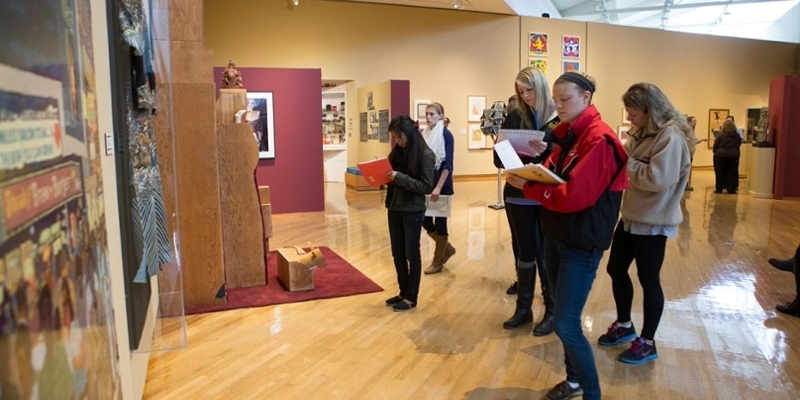 Faculty and students research and engage with original works of art throughout the semester. 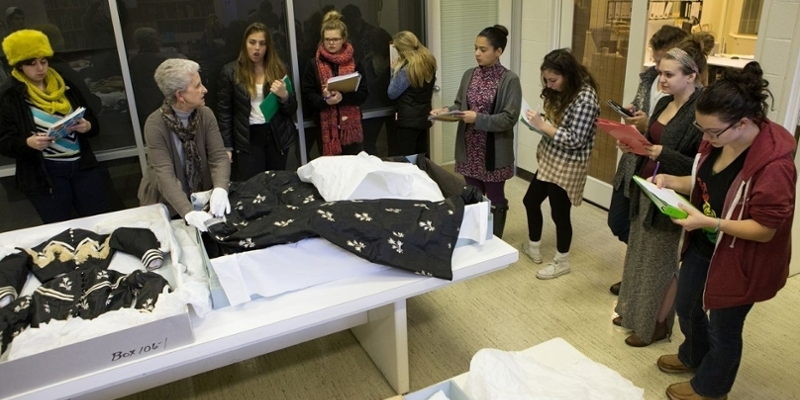 Access to the permanent collection for college teaching is available by appointment. 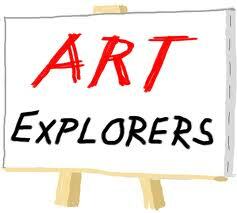 Faculty interested in viewing art and/or objects should contact Laura Stewart Registrar/Collections Manager either via email at stewarle@miamioh.edu or by phone at 513.529.2235. Advance notice of at least two weeks is strongly recommended to assure requests for viewing art and prints can be accommodated. Sketching in the gallery is permitted. A free program including storytime led by the Lane Public Library children's department, paired with a related craft. For children ages 3-5, accompanied by an adult. Held at the Art Museum. An early childhood arts and reading partnership with The Lane Library.